Martha's Run 2019 is almost here! Online registration is now closed. See below for in-person registration details. Race results will be available shortly after the race at The Runner's High website. The Martha Fund is a 501(c)(3) charitable organization dedicated to preserving the memory of slain FBI Special Agent Martha Dixon by hosting family-oriented public events and funding the construction and renovation of playgrounds in the Pittsburgh area. Martha received her undergraduate degree in Chemistry from the University of Pittsburgh in 1982 and worked as a forensic chemist for the Arkansas State Crime Lab. She joined the FBI in 1987 and, while assigned to the Knoxville Field Office, became a technically trained agent and the first female SWAT team member for that field office. Martha was assigned to the Washington (DC) Field Office in 1992 and worked drug cases, violent crimes, and cold cases. Martha looked forward to returning to forensics and was a founding member of WFO’s Evidence Response Team, which was renamed the Dixon-Martinez Evidence Response Team in her honor. Her family and friends channeled their grief into efforts to continue Martha’s two passions, running and children. 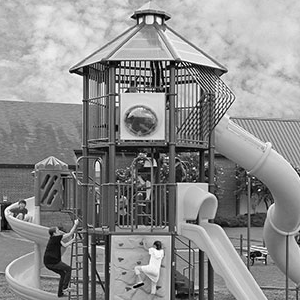 The Martha Fund was formed in 1995 to raise funding for playground projects in her hometown. The Martha Fund’s main fundraising effort is Martha’s Run, a challenging 10K run and 2K run and walk through the rolling hills of Mt. Lebanon. Since the first fundraiser in 1995, The Martha Fund has gifted many smaller grants to assist playground projects, and in 2007, the signature project, Martha’s Playground, was unveiled in Mt. Lebanon Park. The Fund continues to support playground projects in the Pittsburgh area and is poised for another Martha’s Playground in the future. The Martha Fund is formed as a 501(c)(3) charitable trust fund to honor Martha's sacrifice and celebrate her life. With a Board of Directors and trustees consisting of members of Martha's family, Ken Dixon, her father and the retired Allegheny County Director of Elections, served as the Chairman of the Board and one of five trustees until his death in 2000. On May 21, Martha Dixon Martinez is posthumously awarded the FBI Memorial Star and Medal of Valor. The plaque accepted by her parents read "The heroic actions of Agent Martinez prevented the possibility of even greater loss of life and serious injury to other law enforcement officials and citizens within the building." Board members, donors, volunteers, and sponsors work together to organize the first ever Martha's Run. With local news coverage and hundreds of runners, it was a big success. 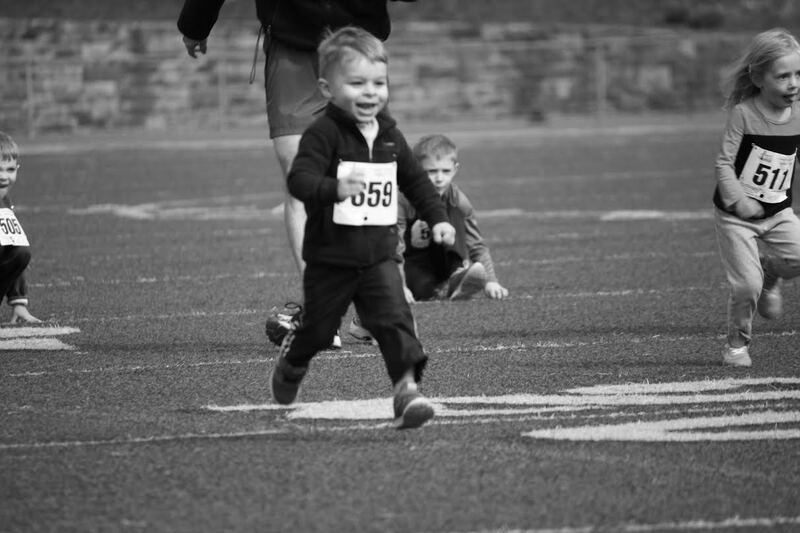 Inspired by Martha's love for children, a Kid's Race is added to Martha's Run with great success. In its inaugural year, more than 40 children from the greater Pittsburgh area and beyond had a blast competing for prizes in their age group. The Kid's Races remain an integral part of the Martha's Run festivities to this day. On April 7, 2007, the dream of building Martha's Playground was realized with the unveiling of the first-ever Martha's Playground in Mt. Lebanon Park, located in the heart of the community where Martha grew up. There is no better place in the neighborhood to enjoy a sunny day. See you on April 13th for Martha's Run 2019! Martha Dixon loved life. She was an avid runner and a loving family member and friend, often combining running events with special visits. Inspired by her passion, one of our primary fundraisers is a 10K race through the tree-lined streets of Mt. Lebanon. Each year, hundreds of runners of all ages join us in the spring for Martha's Run to celebrate Martha's legacy and pay special tribute to all members of our law enforcement community. Following the races, runners and non-runners alike come together for food, music, and celebration while awards are presented to the winners of each age group. In addition to the 10K race, Martha's Run events include a 2-mile run and a 1-mile run/walk open to all ages. And because the Martha Fund is all about the kids, all children are invited to participate in the thrilling Kid's Races held on the Mt. Lebanon High School track at the conclusion of the 10K. We hope you'll join us for the 23nd annual Martha's Run on Saturday April 13, 2019. Each year we seek corporate support to help us meet the costs of Martha’s Run, and we offer various forms of recognition or advertising in return. If you are interested in helping us sponsor our next event, please get in touch with us at themarthafund@gmail.com. The Martha Fund is a 501(c)(3) charitable organization, so that donations made to it are tax deductible to the donor, and we welcome any kind of support. The 23nd annual Martha's Run is on Saturday April 13, 2019! Your donation is tax-deductible and will help us to continue funding playground projects in the Pittsburgh area and host future events like Martha's Run in support of this mission. To date, The Martha Fund has not spent any donations on salaries, administrative costs, or any other costs that did not directly further its charitable goals. All of the board members and assistants are volunteers. The Martha Fund accepts financial contributions through RedPodium. If you would prefer to contribute your time and talents to support our mission, help us sponsor one of our events, or simply find out more information about The Martha Fund, please send us an email. We can't wait to hear from you!